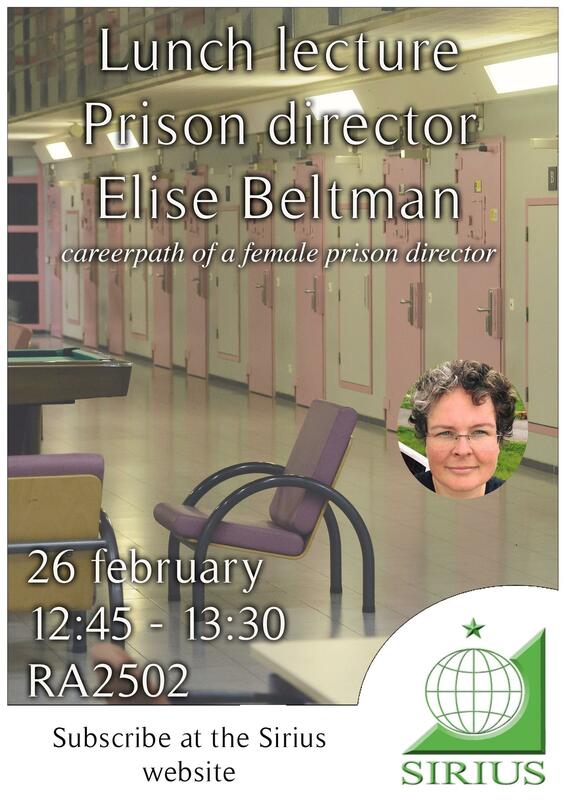 On Tuesday the 26th of February Elise Beltman will come to the University of Twente for a lunch lecture. Elise Beltman is a female prison director, who has studied Health Sciences at Maastricht University. Elise will tell the story of her extraordinary career path, because not many Health Sciences students will end up becoming a prison director. Join us in RA2502 at 12:45, where free lunch will be available! Please sign up before Monday the 25th of February at 12:00, so we can order enough lunch.